Last night while taking my eldest daughter out for a birthday celebration we went shopping. She wanted to go try on some dresses and hopefully find a couple of church dresses with her birthday money. While she and her girlfriends were pouring over dresses, I was looking through the other items. The store was Ross, I had never been there, but was fairly happy with what I found. Guess what I found last night? Oh yeah! A pasta maker at a third of the price I had one in my amazon cart for! YEAH! I am so excited! I have made noodles before, but they were not very uniform in size. Can you guess what we are having for supper tonight? It's just one more thing that I can scratch off my grocery list. Ross is hit or miss on finding things, but they have GREAT prices!! I love it when I can find things there! WOW....Pasta making!!! I have no clue how to make pasta....you are superwoman!! 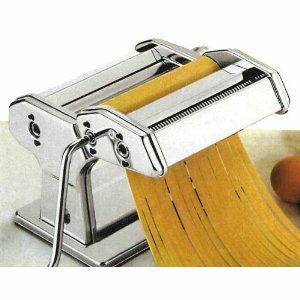 I want to learn to make pasta, but I need to find a pasta maker first. Guess I'll go look at Ross. I miss my pasta machine. Mine wore out and just got all gumbed up. I tried several times to get it all cleaned out but it just wouldn't work. 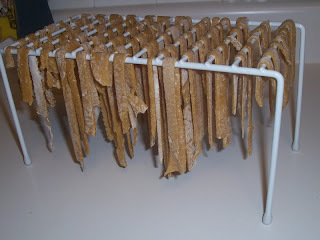 I used to make homemade pasta at least once a week. I even would dry it out and give as presents!! I need to invest in one again!! I am so jealous!!! Enjoy and tell me how they turned out!!! 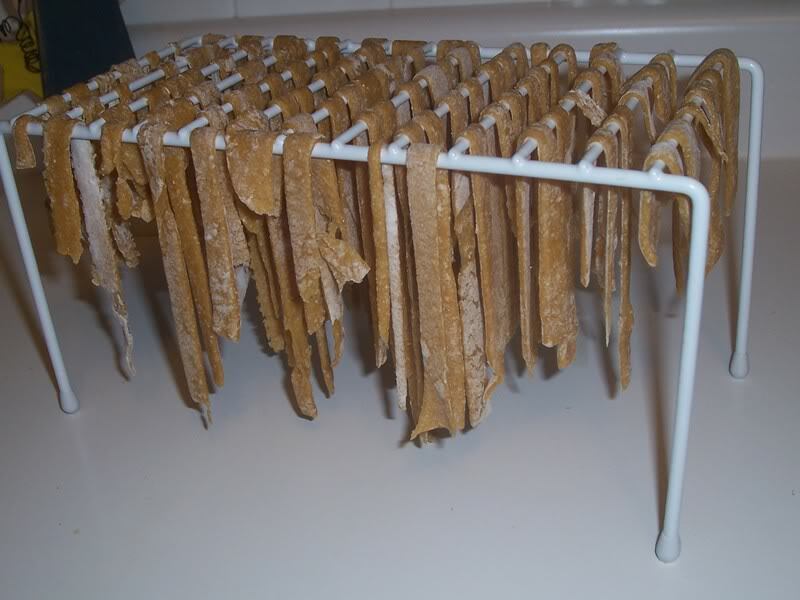 there is NOTHING as yummy as homemade pasta. try adding some spinach puree. so delicious!